1. Sfat Emet, 2 sections in one volume, by Yitzhak Stanov. 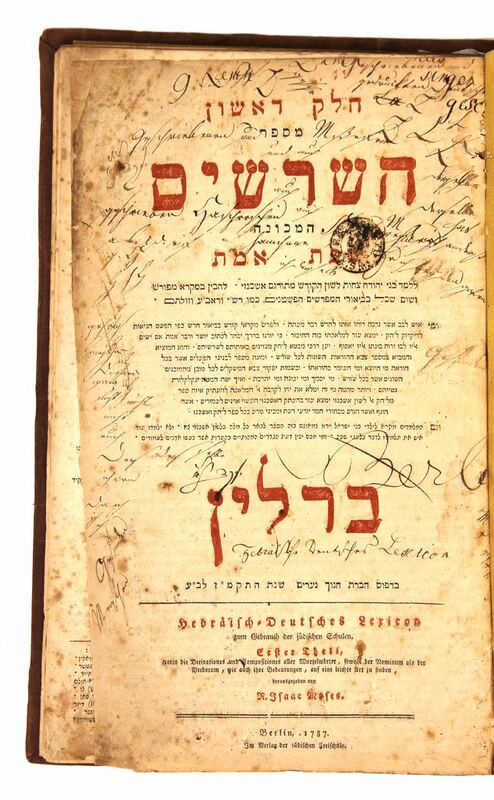 Printed by the Chanoch Ne’arim company, Berlin 1787. Cover page in Hebrew and German, red and black ink. Listings of ownership. Page 2 missing. 2. Sfat Emet, 2 sections in one volume. By the printer Meir bar Shmuel Falklash, Prague 1803. Cover page in Hebrew and German, red and black ink. New binding. Different sizes and conditions, generally good.